Review: When I first picked up this book, I knew absolutely nothing about it — and that was not an exaggeration. I picked it up for one of those “blind dates with a book” and all I had to go on was a short summary on the wrapped cover. This book was unexpected, shocking, disturbing — and I loved every minute of it. The novel follows a man names Joe and how his obsession with a young woman named Beck spirals out of control. 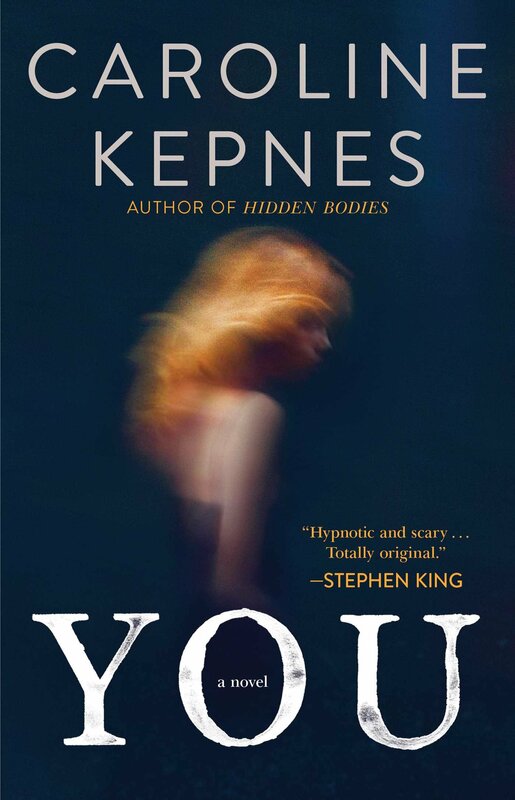 Kepnes writing is raw and unfiltered, giving Joe a psychotic (yet quite human) voice. I love a good suspense, and this book had me on the edge of my seat the entire time. I had absolutely no clue what was going to happen next, Joe’s unpredictable tendencies making it hard to guess the twists. Kepnes style was unique and lended itself quite well to the story. The book read sort of like a stream of consciousness at times but had plenty of action. It was an interesting look from the point of view of a stalker who couldn’t find the fault in his actions. I found myself rooting for him throughout the story, contrary to the crimes he committed. I’m going to warn you now, this book is not for the faint of heart. It has graphic scenes (both sexual and violent in nature) and takes the reader on an emotional roller coaster. But if you’re into dark and demented books like I am, I definitely recommend You. Camp Nano and … New Book?